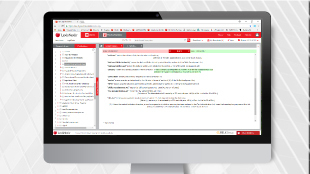 Now new, enhanced functionality from LexisNexis enables subscribers to South Africa’s most comprehensive online legal research tool, Lexis Library ®, to view not only current legislation, but also all previous amendments since 2014. More recent updates already on offer from Lexis Library include the consolidation and grouping of content according to specific fields of interest, termed Research Areas. This has helped to narrow down search results without showing information that is irrelevant. While the original way of searching by Publications is still there for those who prefer to conduct their research the way they always have, LexisNexis complemented this with additional search options grouped by content relevant to particular topics – such as Civil Procedure, Labour and Employment, Banking and Finance, B-BBEE, Family Law and Persons, Provincial Governments, Tax, Corporate and Commercial – as well as by Legislation, Case Law, LAWSA, Forms and Precedents, Commentary works and Practical Guidance. The end result is improved navigation and indexing which makes it even easier for lawyers to find exactly what they are looking for. “Helping clients to uphold the Rule of Law is our global purpose and – with that at the core of our work – we will continue to invest in technology and content solutions that provide clients with the right tools, to make the right call at the right time in an efficient and user-friendly way,” says Campbell-White.